Can monitor multiple time points to follow kinetics. Adaptable for High Throughput format. Applications – Fluorescent Plate Reader. Monoamine oxidase (MAO) is a flavin-containing enzyme that catalyses the oxidation of a variety of amine-containing neurotransmitters such as serotonin, norepinephrine, epinephrine and dopamine to yield the corresponding aldehydes (1). MAO exists in two isoforms, namely MAO-A and MAO-B, which are the products of two distinct genes (2). MAO-A and B exhibit different specificities to substrates and inhibitor selectivities. Extensive studies have been preformed to characterize their properties (3-7). MAO-A acts preferentially on serotonin and norepinephrine, and is inhibited by clorgyline. MAO-B acts preferentially on 2-phenylethylamine and benzylamine and is inhibited by deprenyl and pargyline. Localized in the outer mitochondrial membrane, these enzymes are found throughout the body. Often only one form of the enzyme is present in a specific organ and/or within a specific cell type (8-9). In addition to their role in regulating neurotransmitters, these enzymes are also involved in processing biogenic amines (10) including tyramine (11). The Fluoro MAO-A/B detection kit utilizes a non – fluorescent substrate, 10-Acetyl-3, 7-dihydroxyphenoxazine (ADHP) to detect H202 released from the conversion of a substrate to its aldehyde via MAO-A/B. Furthermore, H202 oxidizes ADHP in a 1:1 stoichiometry to produce a fluorescent product resorufin. This oxidation is catalyzed by Peroxidase. The fluorescent monoamine oxidase detection kit can be used to monitor MAO activity and screen of MAO inhibitors. Figure1. Recombinant MAO-B was serially diluted in 1X Reaction Buffer. 100 mL of diluted MAO-B per well was mixed with 100mL of Reaction Cocktail. The reaction was incubated at Room Temperature in the dark for 1 hour. Fluorescence was measured with a microplate reader using excitation at 530mM and fluorescence emission at 590mM. Waldmeier PC (1987) Amine oxidases and their endogenous substrates. J Neural Transm Suppl 23:55–72. Bach, A. W. J., N. C. Lan, D. L. Johnson, C. W. Abell, M. E. Bembenck, S. W. Kwan, P. H. Seeburg & J. C. Shih: cDNA clon-ing of human liver monoamine oxidase A and B: molecular basis of differences in enzymatic properties. Proc. Nat. Acad. Sci. U.S.A. 1988, 85, 4934–4938. Johnston, J. P.: Some observations upon a new inhibitor of mono-amine oxidase in brain tissue. Biochem. Pharmacol. 1968, 17, 1285–1297. Suzuki, O., E. Noguchi & K. Yagi: A simple fluorometric assay for type B monoamine oxidase activity in rat tissues. J. Biochem. 1976, 79, 1297–1299. Fowler, C. J. & B. A. Callingham: Substrate-selective activation of rat liver mitochondrial monoamine oxidase by oxygen. Biochem. Pharmacol. 1978, 27, 1995–2000. Tipton, K. F.: Enzymology of monoamine oxidase. Cell Biochem. Funct. 1986, 4, 79–87. Youdim, M. B. H. & M. Tenne: Assay and purification of liver monoamine oxidase. 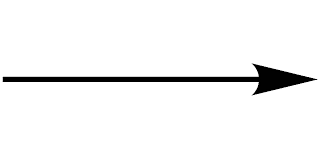 Methods Enzymol. 1987, 142, 617–626. Trendelenburg U, Cassis L, Grohmann M and Langeloh A (1987) The functional coupling of neuronal and extraneuronal transport with intracellular monoamine oxidase. J Neural Transm Suppl 23:91–101. Yu PH, Davis BA and Boulton AA (1992) Neuronal and astroglial monoamine oxidase: Pharmacological implications of specific MAO-B inhibitors. Prog Brain Res 94:309–315. Strolin Benedetti M and Tipton KF (1998) Monoamine oxidases and related amine oxidases as phase I enzymes in the metabolism of xenobiotics. J Neural Transm Suppl 52:149–171. Hauptmann N, Grimsby J, Shih JC and Cadenas E (1996) The metabolism of tyramine by monoamine oxidase A/B causes oxidative damage to mitochondrial DNA. Arch Biochem Biophys 335:295–304. Methods Enzymology: Metabolism of Aromatic Amino Acids and Amines. Volume 142, page 617 (1997).13. Holt A. ; Sharman D.F. ; Baker G.B. ; Palcic M.M. 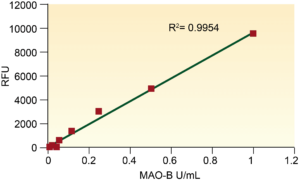 A Continuous Spectrophotometric Assay for Monoamine Oxidase and Related Enzymes in Tissue Homogenates Analytical Biochemistry, January 1997, vol. 244, no. 2, pp. 384-392(9).